Today, a French-language edition of the Content Guide debuts on Flipboard, offering a hand-curated selection of local news feeds, up-to-the-minute tech blogs, beautiful food and style magazines, French social media mavens, and so much more. 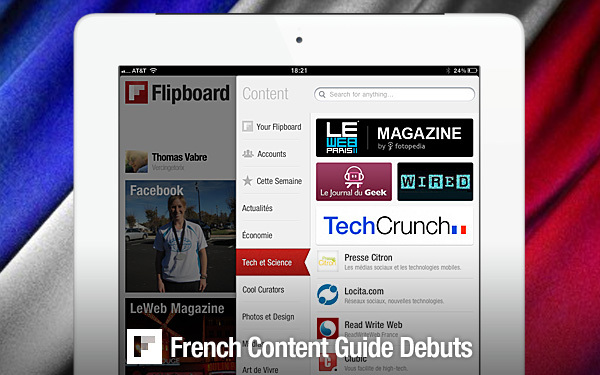 Flipboard readers who have their iPad region set to France will automatically see the new French Content Guide when they tap on the search icon in the upper right corner of Flipboard. 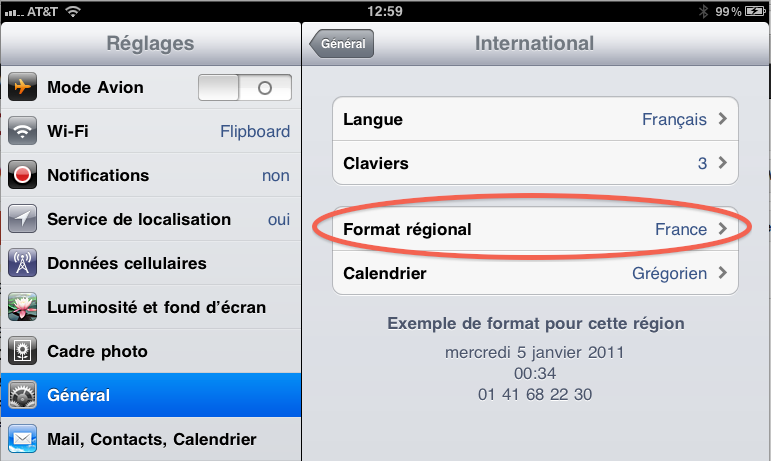 In fact, anyone who wants to see special French content can simply by setting their iPad’s region to France. This week, also introduces an exclusive peek into the LeWeb’11 conference with the launch of LeWeb Magazine, a real-time magazine brought to you by the folks at Fotopedia. Add it to your Flipboard to read the latest from Europe’s biggest tech conference, going on now in Paris. We’ve also just launched the French edition of style magazine Grazia, recently customized for Flipboard with pages as bright and youthful as the fashions covered. If you’re in France and would like to return to the worldwide/U.S. Content Guide, simply go to your iPad Settings, find International and change the region to â€œAnglais > Ã‰tats-Unis.â€ There’s no need to change the language settings. Finally, feel free to make suggestions about any of the items included in the Content Guide, French or global, by emailing to featured@flipboard.com. We’d love to hear from you and are always looking for cool curators from all over the world.